We have a team of focused power electronics professionals with over 90 years of experience between them in new product development and introduction in automotive, appliance, industrial, railway and medical markets. They are backed up by very well equipped development facilities with many specialist pieces of equipment. Power electronics is a very multi-disciplinary field and we therefore cover a wide range of capabilities all of which are available in house. With experience of Brushless Permanent Magnet, Induction Machines, Brushed DC and Switched Reluctance motors we can help guide you through the process of selecting an appropriate motor type and drive circuit for your application, whether using position sensors or not. We can recommend the most suitable circuit topology for your application, and implement it using either analogue or digital control techniques as appropriate. 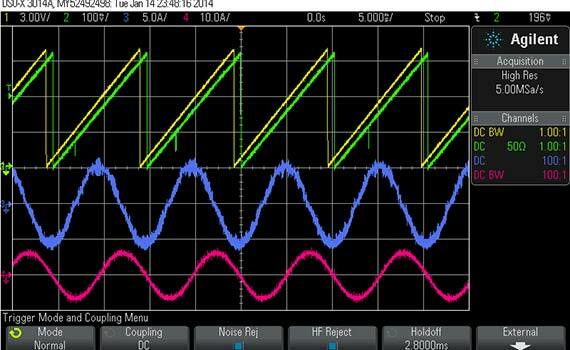 We have successfully developed several resonant switching designs which although require more development effort offer the advantage of higher efficiency and improved EMI performance. We have completed two complex grid tied inverter projects for the UK/European markets over the past 4 years. This has taken advantage of our embedded control experience from motor drives and extensive power electronics design expertise. The resulting designs are compact, flexible and designed for high volume manufacture. Both systems have met all the required regulatory standards and the tough grid connectivity specifications such as G83/2. With experience of designs from 1W to 500 kW+, we can select the appropriate transistor and diode types, circuit topologies, key passive components and thermal management techniques to suit your application. We constantly keep up to speed on trends in power components development and maintain direct links with many key manufacturers. Power electronics, especially at higher powers, is as much about mechanical engineering as it is about electrical. We are fortunate to have people who have many years experience with packaging power products taking into account functional, thermal and safety requirements. We can take on complete product design projects using 2D and 3D CAD. We have in-depth expertise in implementing control algorithms as well as general interfacing and various serial communications methods. We have had considerable success maximizing the functionality provided by low cost parts using a combination of C and assembler. 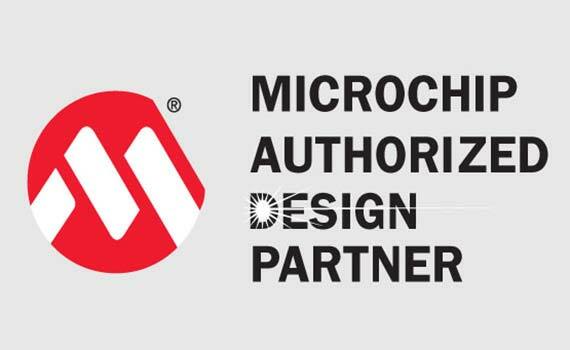 We are the only official Microchip Authorised Design Partner with the highest (platinum) rating with motor control speciality outside of the Far East. 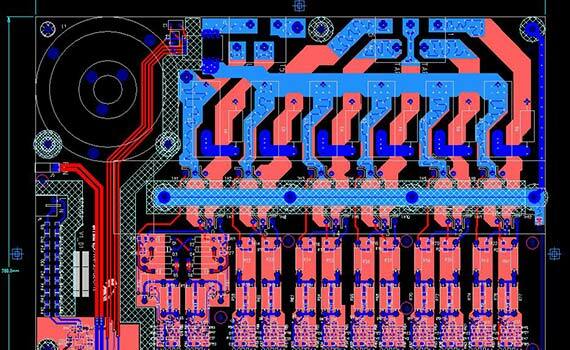 We recommend Microchip devices for most new designs. We have broad experience in this area including FPGA/PLD designs, general signal conditioning/interfacing and specialist knowledge of suitable techniques required in the presence of high degrees of electric noise inevitably present in power electronics applications. We have always considered it essential to have the capability to do our own PCB layout in house especially for complex integrated designs with control and power stages. We use Mentor Graphics PADS® for this which has tight integration between schematic capture and layout and flexible methods of copper flooding and design rules checking. Whether for European or Worldwide markets we can help identify appropriate standards and design for compliance. 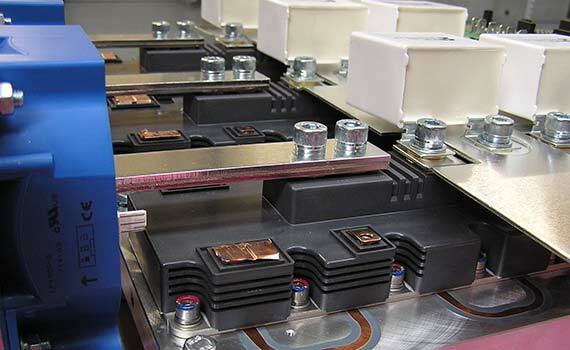 Our EMC experience includes both active and passive power factor correction techniques for mains fed systems as well as the tough immunity requirements of automotive systems. In house we have equipment to allow us to carry out tests for mains harmonics and flicker as well as conducted emissions. Full compliance testing can be arranged at one of a number of external test houses we regularly work with. 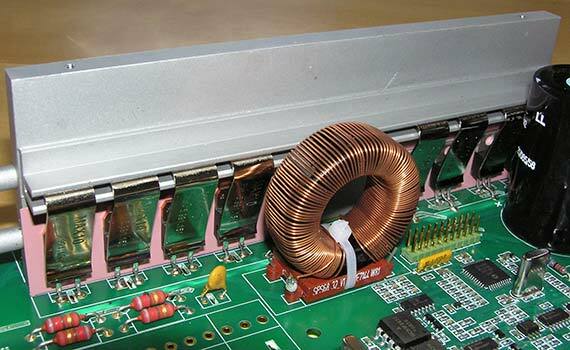 We can custom design high frequency transformers and inductors in order to optimize size, cost and performance. We have excellent links to companies based in Europe and the Far East to manufacture such parts and we work closely with them at all stages of the project. We have the capability and many years of experience in deriving models and simulating the behaviour of electromagnetic components, motors, actuators, power electronics devices and their control systems. We use Matlab®, Simulink® and PLECS® for this purpose.